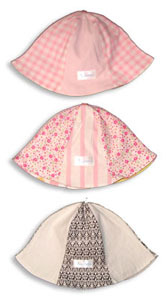 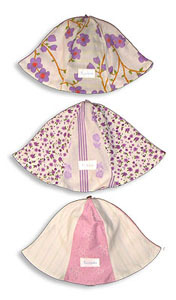 Whether you call it a “tulip” hat or a “six gore”, this version is called the “floppy hat.” It’s designed to be completely reversible with complementary fabric on the other side. 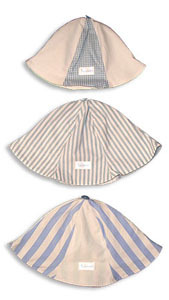 Finished off with vintage buttons, the brim is wide enough to keep the bright sun out, or it can be flipped up to see your little one’s darling face. 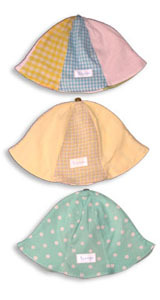 These can be ordered to match any outfit and are available in size small (0-12mo), medium (12mo-2T) and large (2T- 6X).